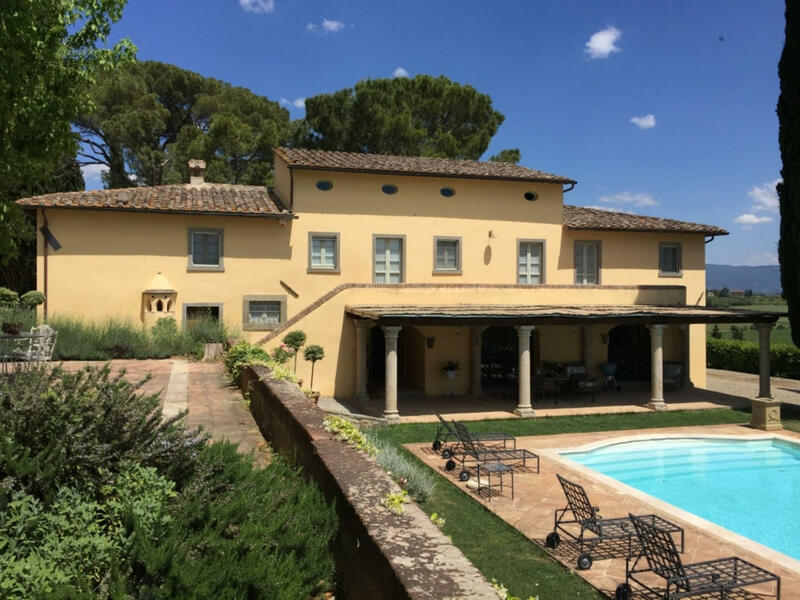 Luna Di Cortona is a beautiful stone building (520 sq m) with private pool, WiFi internet and air conditioning. The property can sleep up to ten guests comfortably in five bedrooms with five bathrooms. Conveniently located near Manzano, Italy in the tourist area "Cortona And Surroundings". In nearby towns there are local shops where you can find fresh produce and other items. If you can't find what you need locally, there is a shopping center located 7 km (4 mi) from the property where you can purchase your food and essentials. 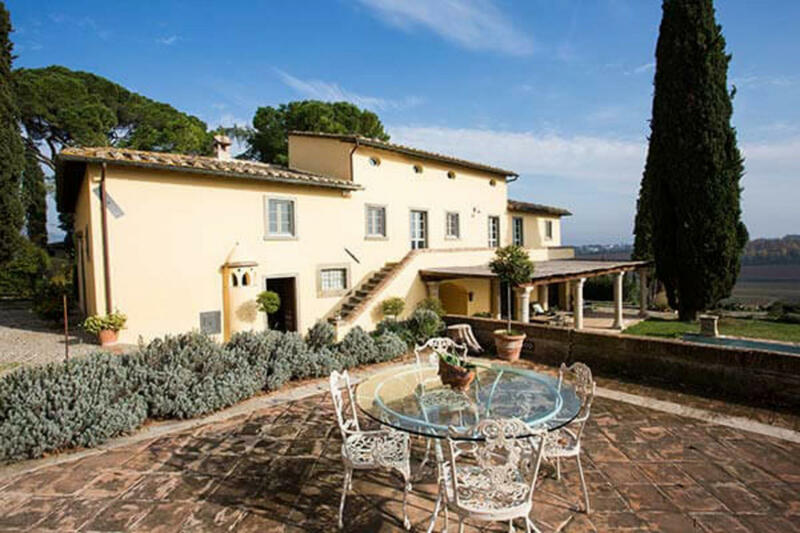 Upon arrival you will be greeted by the owner or manager where you’ll find a lovely clean well-maintained property with views of the hills ideal for a peaceful vacation in Tuscany. After a busy day of sightseeing, spend some time with friends and family poolside enjoying a glass of wine - a perfect way to relax at the end the day. A real time-saver is having a washing machine on the premises that is available for the guests to use. If you enjoy cooking for family and friends there is a well-equipped kitchen including coffee machine, microwave, toaster and refrigerator, as well as, plenty of tableware and cutlery for up to ten people. If you prefer to dine 'al fresco', there is a fully furnished veranda where you can enjoy the weather while dining outdoors. There are many nearby cities and towns that you can visit while on holiday, each one with its own history and culture that you can enjoy during your trip. The highway is only 10 km (6 mi) from the villa and there is a train station 5 km (3 mi) away. 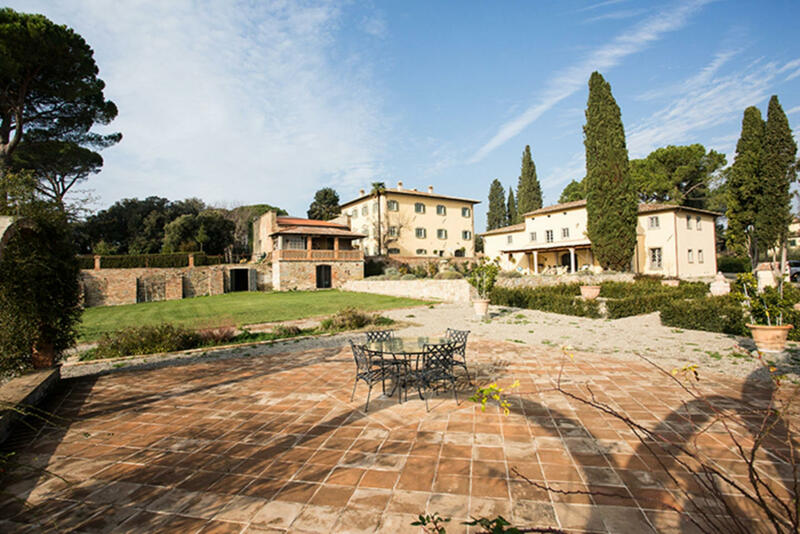 Weddings – Luna Di Cortona would be a good choice for your wedding venue. All aspects of the wedding can be arranged with a professional wedding planner including the food, entertainment and floral arrangements. If you need additional rooms for your wedding guests, we can help you find suitable local accommodations. Stop dreaming and start planning your wedding in Tuscany. Cooking Lessons - Learn from a local chef the techniques vital to master Tuscan cuisine. The owner can schedule to have a chef come to the property for a cooking lesson for any number of people in your group. It's a fun way to spend time with friends and family while discovering the secrets required to prepare sumptuous Tuscan meals when you return home. For more details and the extra cost, please contact us. Professional Chef - Are you looking for a real treat during your vacation? Why not book a professional chef to prepare and serve you a mouth-watering meal using local produce? The chef will schedule the meal based on your preferences and dietary requirements. The chef will offer suggestions for the various courses and the wine. Ask for more details and the extra costs.